Detective Thomas Dagget discovers a lethal heavenly prophecy being fulfilled on earth! In his fight to stop the forces of evil he finds an unlikely ally in a school teacher. Together they race against time and terror to save the world as we know it! Detective Thomas Dagget discovers a lethal heavenly prophecy being fulfilled on earth. This movie really and truly is a 3 out of 5, but my undivided attention to and enjoyment of it elevates it to a 4 out of 5. Does the plot make much sense? Not entirely. It's really simple enough, but it somehow takes a while to figure out how everything is supposed to work. However, the acting, cinematography, and tone are across the board pretty damn good. Christopher Walken of course is having a hammy good time, but him and his interactions with Adam Silverman and Amanda Plummer as his minions are what lighten the movie and make it actual fun. i watch this to see Viggo luifcer it up. i regret nothing. As supernatural thrillers about angels and demons go, this one, from the writer of HIGHLANDER, stands to be pretty original in its concept and execution. Defrocked priest-turned-police detective Thomas Daggett (Elias Koteas of David Croenenberg's CRASH), stumbles upon a most terrifying discovery in his investigation of a murder: there is a war in heaven taking place between angels over the very existence of mankind, and a prophecy involving the most evil soul to have ever existed on earth, could be the tie-breaker. Enter Lucifer (Walken) who wants that soul for his side, and will stop at nothing to possess it, even if it means ripping apart the little Native American girl (Moriah "Shining Dove" Snyder), whom the soul has been hidden in. Her teacher (Virginia Madsen) because an unwitting pawn in this deadly game as well. Walken has the flashier role here, no big surprise, but his Lucifer isn't the one you'll walk away remembering. With about five minutes' worth of screen time, Viggo Mortensen has a cameo that confirms why he's one of the best actors of our time, playing a character you'd NEVER want to run into in a dark ANYWHERE, let alone an alley. The visual effect did not age well for this one, but the spirit is more than enough to warrant recommending it. 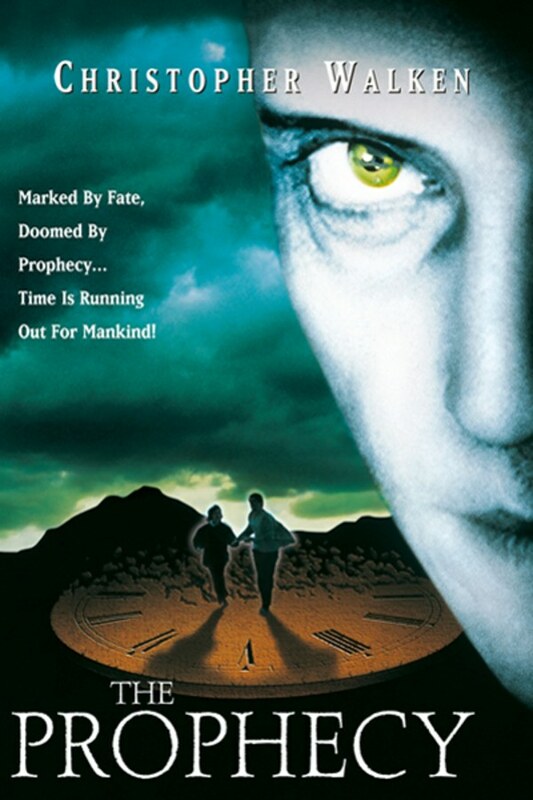 Watching Walken be an evil angel is pretty much the only thing to recommend about this otherwise slack supernatural thriller, but what more do you need?